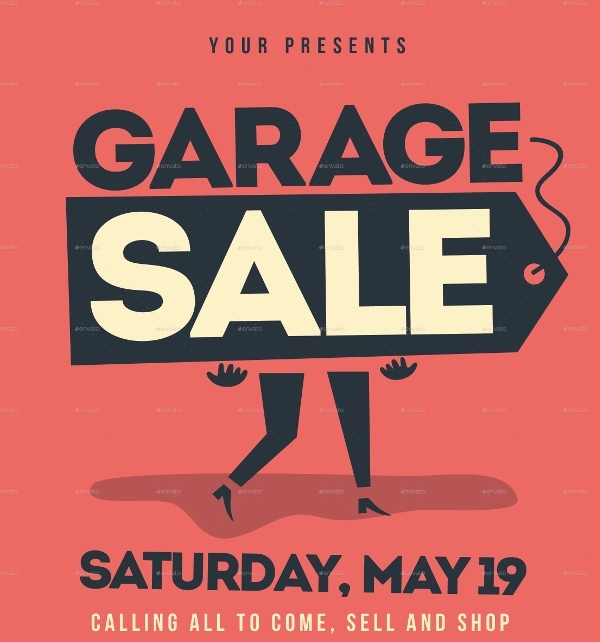 Garage and yard sale are popular informal events for selling second hand used goods and objects directly to customers without any need of paying taxes for it. 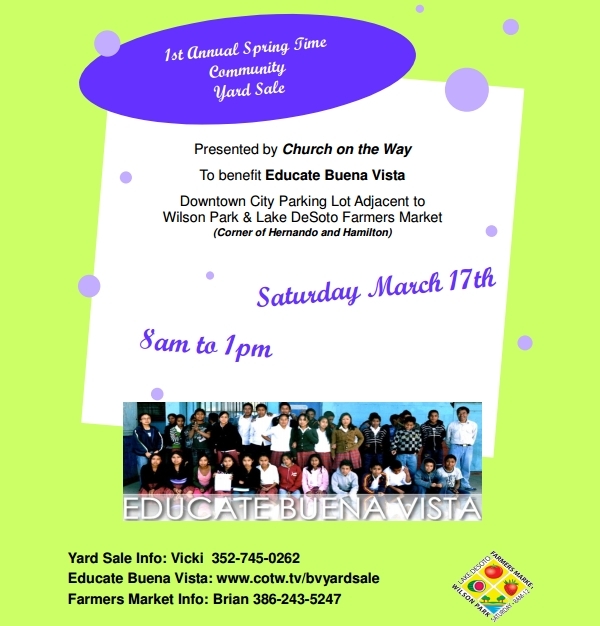 It is a widely popular event and calls for flyers to attract customers and buyers and let them know about its occurrence and presence. 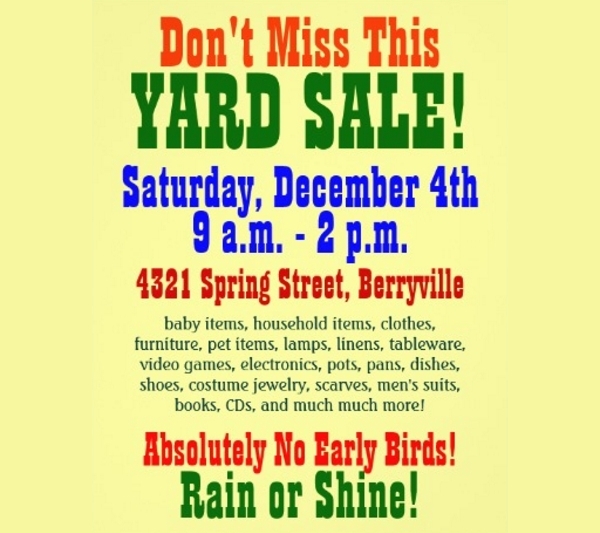 The following yard sale flyer templates have a wide variety and each one of them is unique and best on its own. 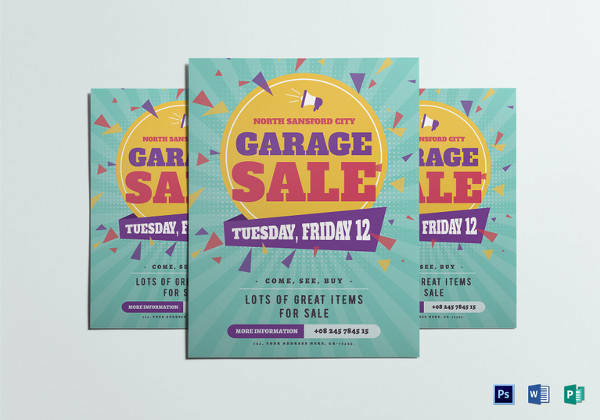 The PSD source files with free unique fonts are provided to tweak the designs of the flyers without any obstruction. 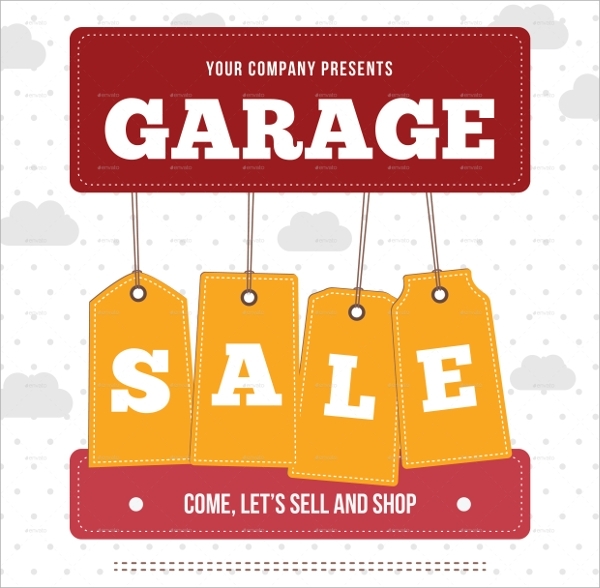 You may check Equipment Bill of Sale Templates. 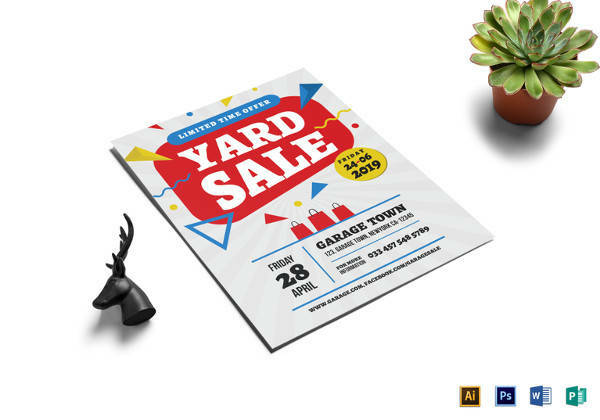 This amazing community yard sale flyer mockup is very creative and picks your attention immediately with the colorful objects it possesses. It has 3 color schemes and a size of 215.9 x 279.4 mm. 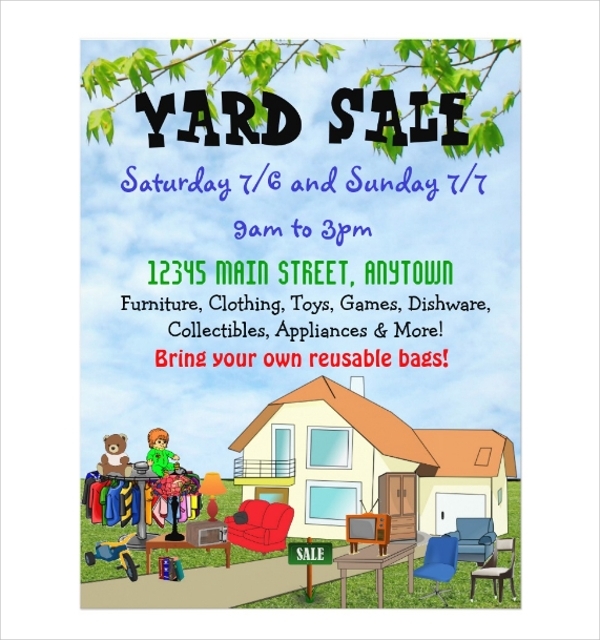 This is a very fun filled neighbor yard sale flyer which comes in rendered JGP format and source file in EPS format. 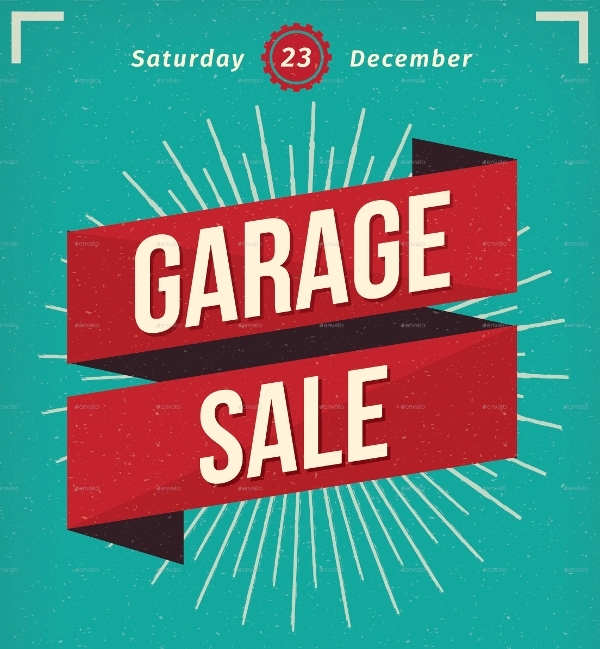 It has a sign board, boxes to represent stuff related to garage and has a vintage look. 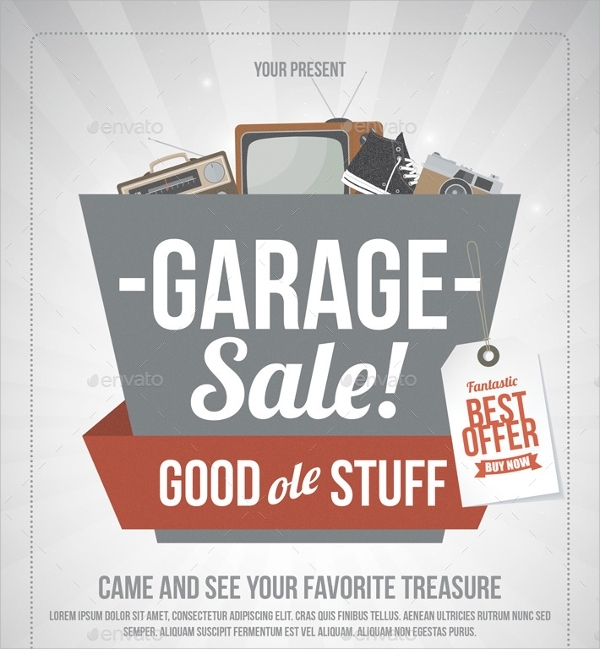 This is a retro designed yard sale flyer template which comes in both AI and PSD file formats with free fonts to let you tweaking the designing and contents easily. It has a size of 8.27 x 11.69 inches with bleed included. It is in print ready mode with 2 color variations. It offers you 3 alternative design all of which have different color schemes and overall designs. The unique and highlight fonts are provided with the source file and it measures 210 x 297 mm. 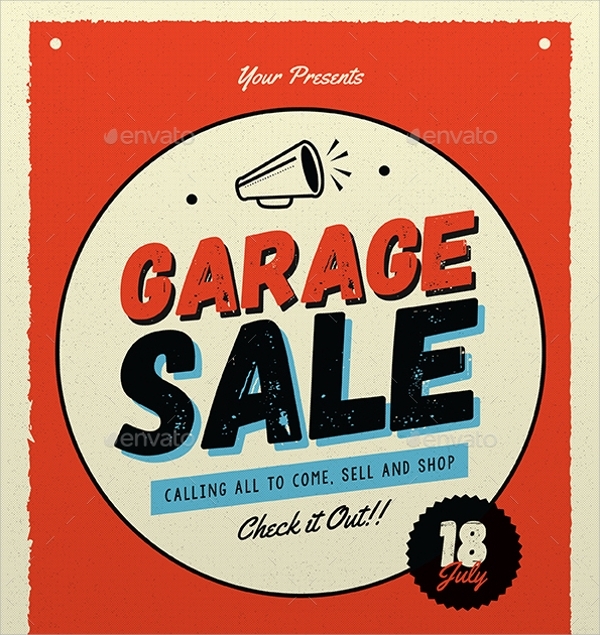 This is an awesome garage sale flyer that is very captivating with its color mixing and minimalist design. It is in CMYK mode with 300 dpi quality. 3 different templates are provided for variety. The source files have organized layer to find ease in editing. 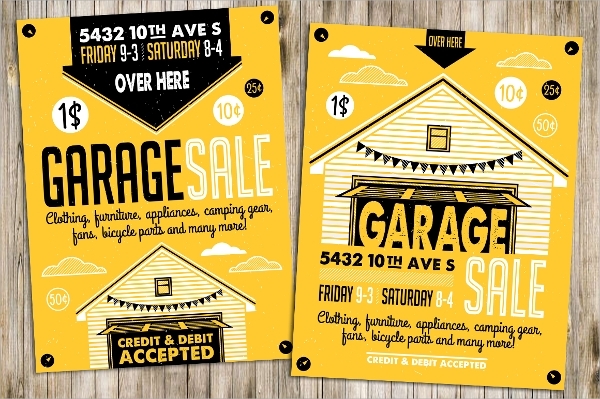 This is a vintage looking garage sale flyer with contrasting color schemes. A lot of highlighting fonts are used which are available in the pack the black and yellow combination stands out easily. 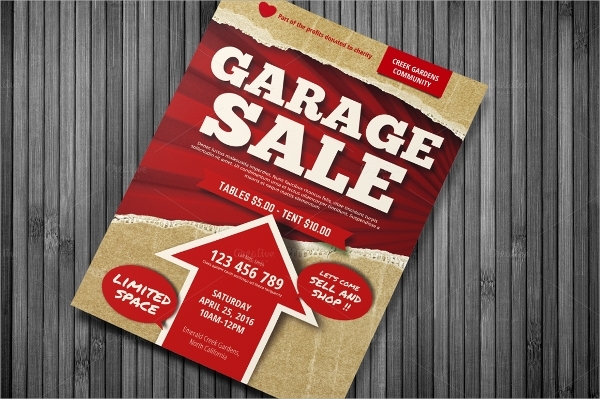 This is a print ready garage sale flyer template with high resolution and unique fonts and designs. Fully organized source file lets the templates become fully customizable. Its color scheme is making it desirable. 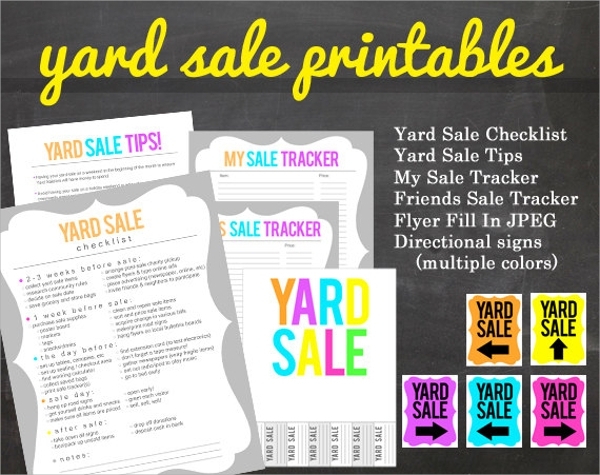 This is a printable yard flyer with simple and to the point design and content. It has well separated layout to make the points clear and highlighting. 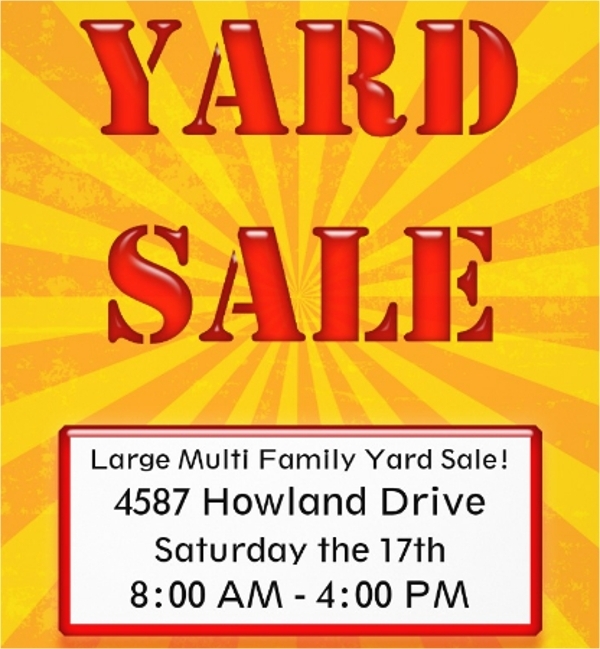 This is an artistic yard flyer template which describes the entire process of yard sale with high resolution hand-drawn images and cartoons. Needless to say that it is unique and stands out amongst others. 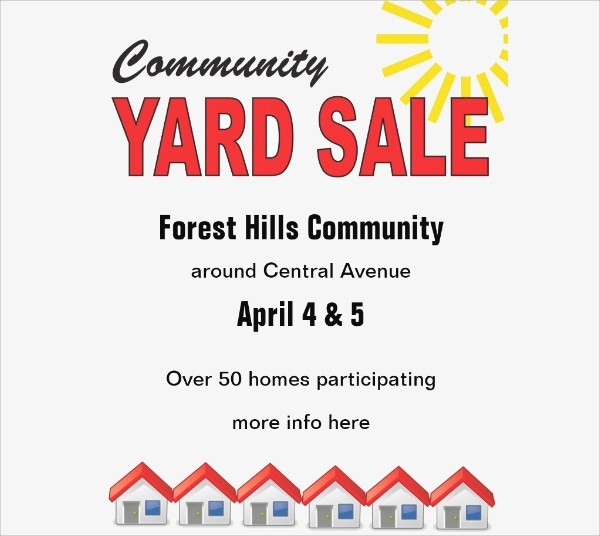 The content of this flyer has shadow effect which makes it give a 3D effect and the fonts used are funny and filled with humor to catch the attention at once. The background is super awesome as well. 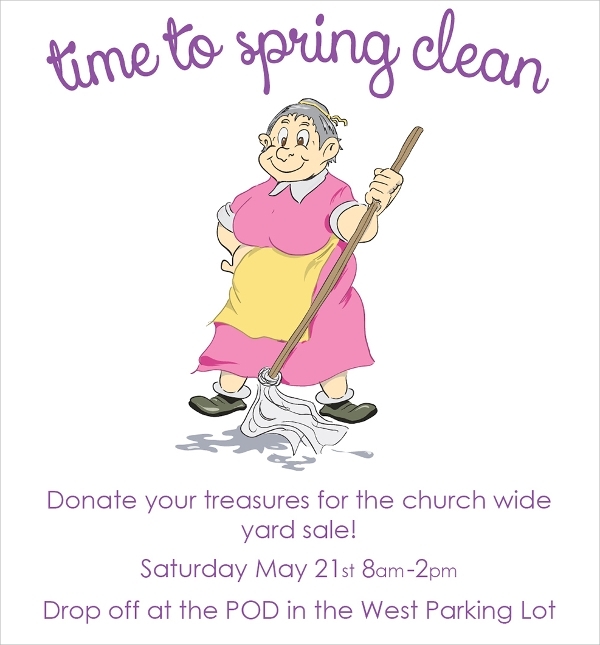 This is a church yard sale flyer template having a lady sweeper representing the process of clearing out the garage. It has minimalistic design with awesome borders and simple fonts. 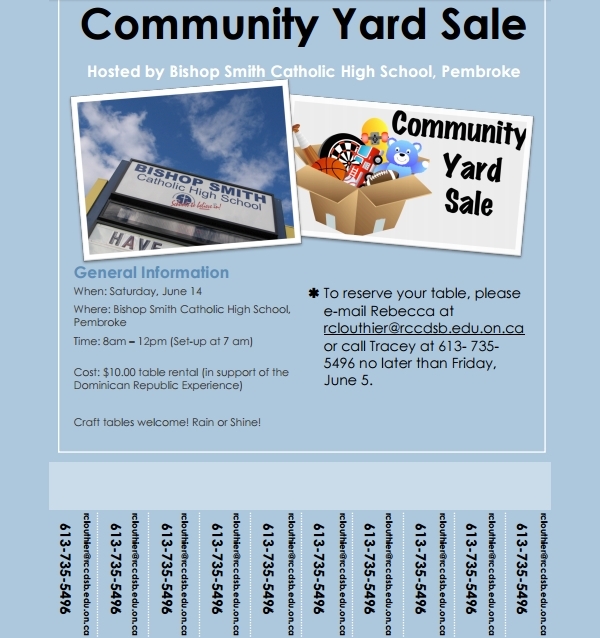 This is a printable yard sale flyer which is widely used to spread the word by handing it to common people and pasting it on the walls. It has a size of 8.5 x 11 inches with high quality of colors and texts. 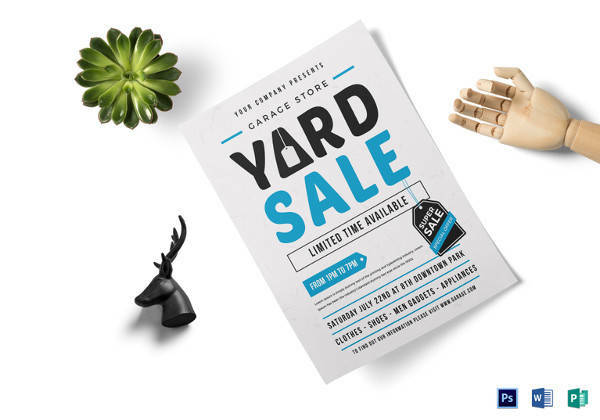 This vintage looking powerful yard sale flyer template has amazing color combo and it is very highlighting to the eyes due to it wide color variations. 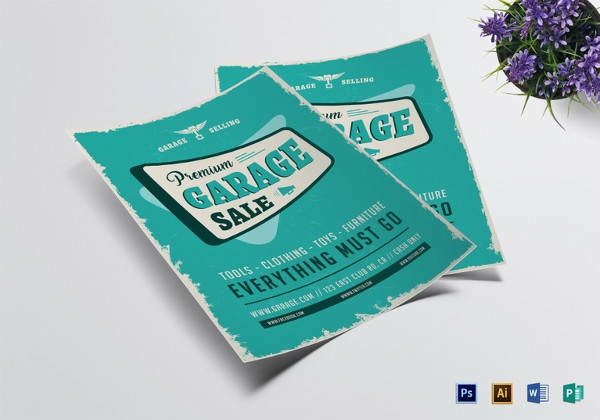 AI and PSD files are provided in the bundle. 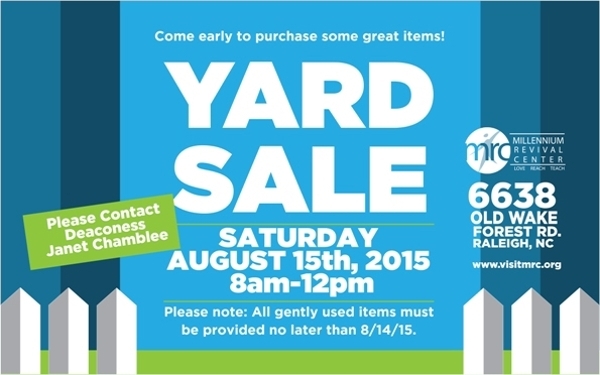 This community yard sale flyer is simple and to the point with strict texts and simple objects. It is of great resolution which makes it highlighting and clean. It comes in two affordable paper options. 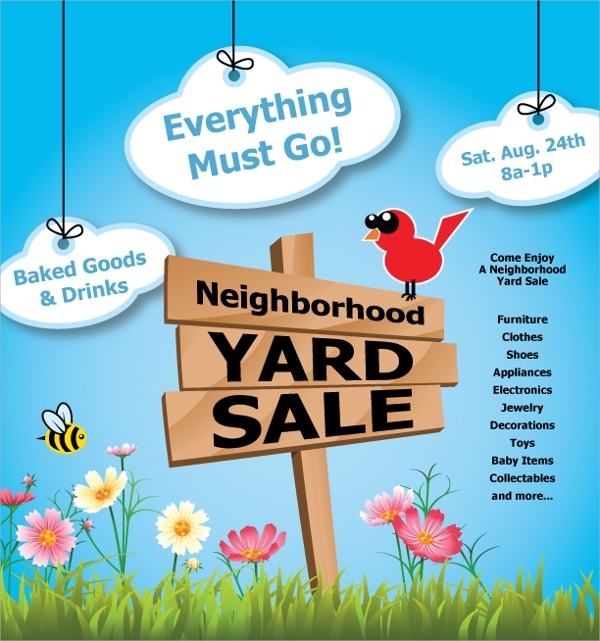 This is a funny but beautiful yard sale flyer with artistic design containing cartoons of birds and bees and with awesome color combo for flowers and background as a whole. Interestingly, the content gets the spotlight easily. 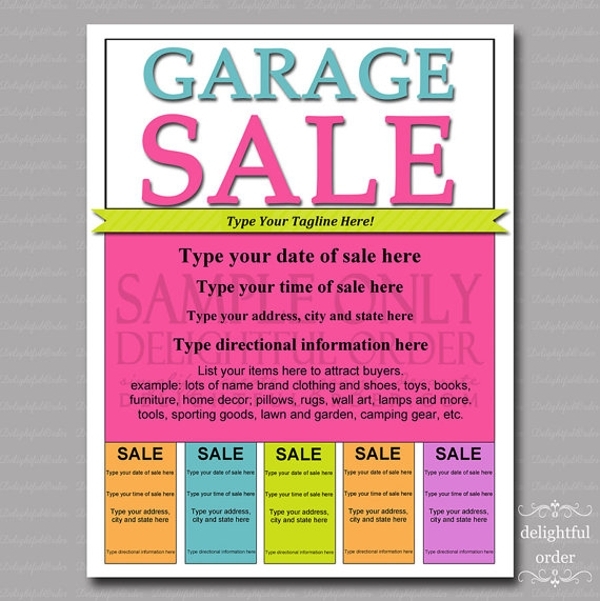 This has a thick and decorated border and different mixing of colors for the text to highlight easily. It has multiple directional signs and comes in JPG format and any photo can be imported and attached. This has very beautiful and soothing color schemes with green and blue shades and objects representing a yard for millennium revival center. Texts are bold and highlighting. 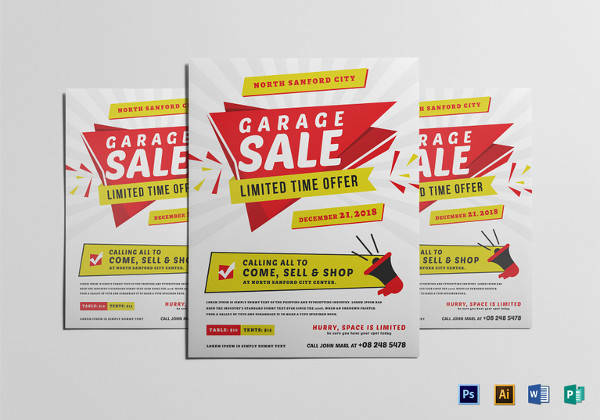 This is a rather simple and strict to the point sale flyer template with glossy text and words and the contact addresses and timings are placed in a box with contrasting colors to make them stand out. 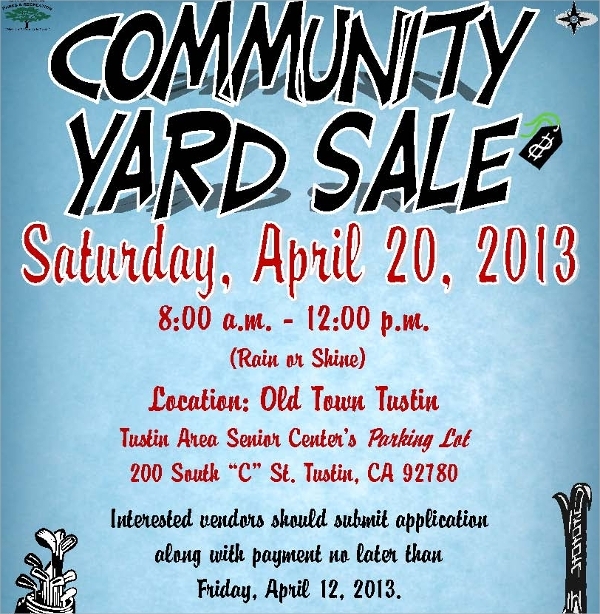 This is a childish and print ready flyer with simple and italics fonts which are provided in the bundle for editing. Any images can be imported and attached with it to make to look even more beautiful. 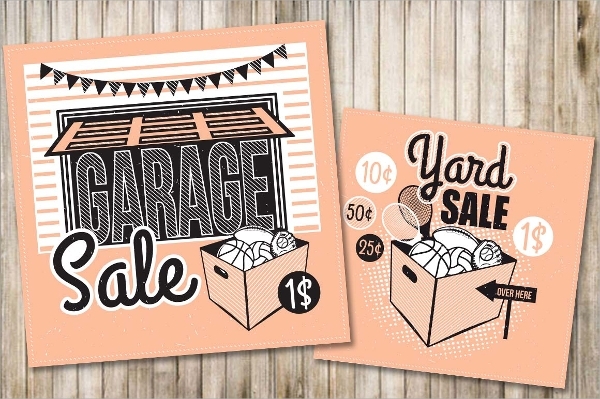 This is a black and white powerful barn yard sale flyer with thick text and fonts with artistic cartoon images to vivify the concept of the flyer and attract attention at once. This has soothing colors for background and foreground contents. Simple images are inserted with graphical effects to keep the design minimalist and attractive. It has separate space for contacts details. 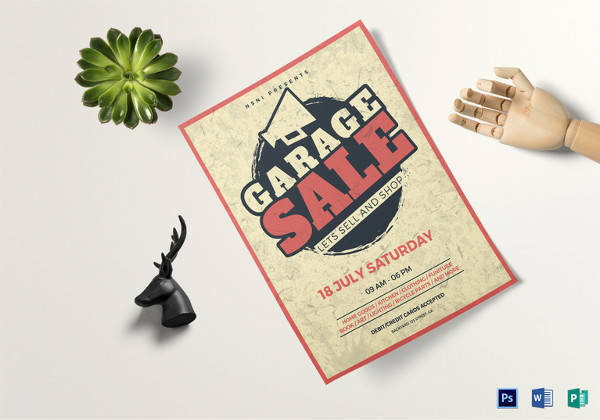 All the yard sale flyer templates that we have just listed and discussed above are in high resolution with great visual quality and they have so many designs which are different from one another to meet all your needs in one place and most of them are going to do wonders for your sale.